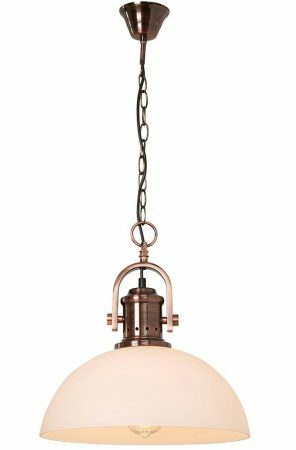 This Bergen 1 light pendant ceiling light in brushed copper finish with frosted glass shade is classic and boasts retro style. Featuring a circular ceiling cup, chain suspension and domed frosted glass shade, with ventilated top gallery and hinged stirrup mount. Perfect for any trendy kitchen, dining room or lounge area. 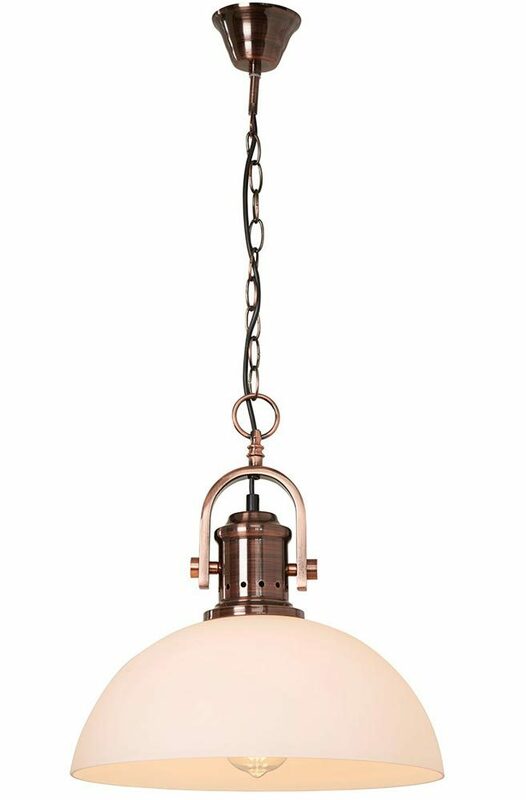 An on-trend vintage style pendant light with a modern edge. The soft brushed copper and frosted glass are stylish and up to date, making it suitable for traditional and contemporary settings alike. Supplied with 65cm of height adjustable chain suspension that can be shortened to achieve the perfect drop, please see below for dimensions.